Like many startups, my farm’s business plan has been tweaked a time or two. Initially, I wanted to start a commercial cow-calf operation, but I was unable to secure the financing necessary to get it off the ground. So instead I decided to explore a grass-fed beef operation and direct marketing opportunities, which offered lower startup costs plus higher profit margins. The downside was, the production cycle for grass-fed beef is longer than for a commercial cow-calf business, so it would be a long while before I made any money. Also, my education and industry certifications were all focused on traditional cattle operations, so learning the ins and outs of more natural beef production was all on me. 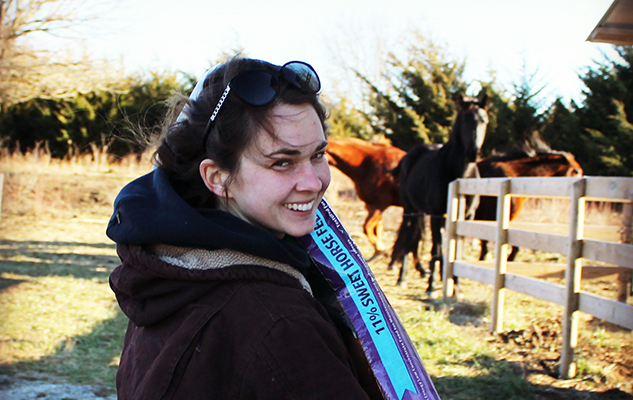 I read everything “grass-fed” I could find, and reached out to several other grass-fed farmers in the area. After a couple months of research, I compiled the info and revisited the original commercial cow-calf business plan I drafted in business school. By adjusting the production strategy and numbers to fit grass-fed beef, I finally had a roadmap customized for Willow Springs Farm. I was getting extremely frustrated with the slow growth, as there are only so many hours in the day and only one of me. While working at max capacity, it’d take me weeks to squirrel away enough money to fence another quarter-mile, roof the back half of the barn, or repair the washed-out driveway. It seemed as though the “farming” part of Willow Springs would never come! So, I decided to explore one last option for start-up capital—presale “inventory” (aka beef). Willow Springs is now pre-selling whole, grass-fed steers. It’s a strategy big box retail stores use to assist with cash flow and/or test new product lines. In our case, customers initially pay 50 percent of the estimated total upfront. 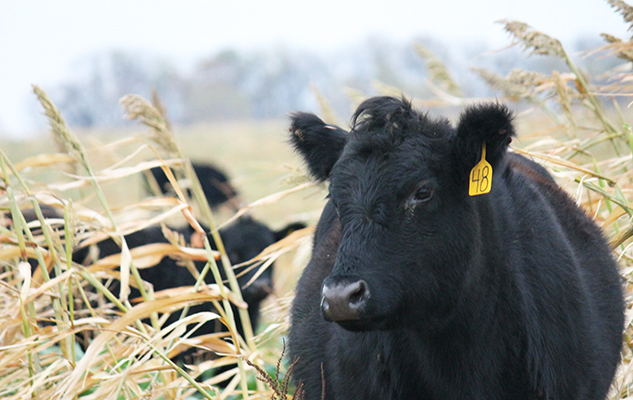 This gives us the resources to purchase weaned calves and graze them until they’re finished. Following slaughter (a year to year-and-a-half later), customers pay the remaining balance (according to the animal’s finishing weight), sales tax, and slaughter expenses. It’s a long-term investment for our customers, but it allows them to be more involved in the entire process of finishing cattle. It’s been really cool to see how our community welcomed this unique strategy as an opportunity to support local farmers. I’m confident that this strategy will help Willow Springs get started off on the right foot, without going into debt. My goal is to continue to reinvest in the farm’s assets—land, livestock, outbuildings—over the next five to seven years. I (finally) own land, and have constructed a barn, fenced the property, and installed a solid catch pen. While I expect my farm’s revenue (sales) to improve with each passing year, I do not expect the profit margin (aka my income) to increase significantly (or exist), until I’m confident my farming operation is on good, solid financial footing. I didn’t come from a farming family, so I won’t inherit any land, and there’s there’s no rich uncle to invest or cosign for a traditional commercial loan. Our bootstrapped business model involves taking it one step at a time. I save up enough money to tackle the next project on the list (right now, it’s installing a head gate) and work until the money runs out. Minimizing debt, while not part of my original plan, will set the farm up for a bright and shining (and independent!) future. Our slow growth is a small price to pay for long-term security.